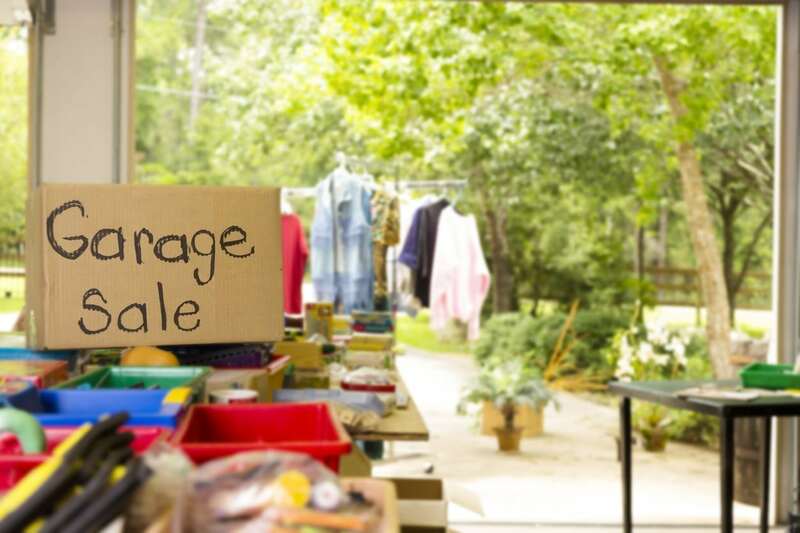 Calling all thrifty moms, budgeting moms, or moms who just like a good deal, it is yard sale time! I love yard sale season, they are a great place to find items you need for such a low price, easy on your pocket book while fulfilling a need you have, or even a want, (ahem). We have been able to furnish our baby’s nurseries, provide extra items for Grandmas house, or even donate items we didn’t need to people or organizations that needed it. Pick a great location to shop, try to go the first day they are open (often it’s a Thursday), grab your bags, cash and your eagle eyes. Gently used baby baths are a quarter of the price of brand new. Just be sure to look for any holes or cracks, and that the plug is still intact so water won’t leak out. The number of bibs you will lose over the years can be baffling. Grab some used bibs to keep in the car in case of emergency or to leave at Grandma’s house. You can never have too many and they are generally less than a dollar a piece at yard sales, so stock up! This may be an obvious one, but stock up on all different sized clothes, pajamas, and shoes. I have found awesome name brand items still with the tags on for pennies! You may have to dig, but the find is worth it. This includes snow suits, winter coats, and boots as well as swims suits and swim diaper covers. These items are often only worn one season because of the rate kids will grow out of them and the condition is generally still very good. Baby monitors and sound machines are great finds at garage sales; be sure to confirm their functionality before purchasing. Some people suggest sticking with brand new on these items, but if you don’t mind that it may be an older model then this is a great area to save some money. A great stroller find is a little harder to come by because they get so much wear and tear. I was expecting my second child and wasn’t sure about investing a lot of money into a double stroller so I decided to buy secondhand first to see what I thought. Some people mark their strollers up pretty high and I don’t find that the strollers are worth what they are asking for so wait it out until you find a good deal. Lots of people move out of the baby style of nursery after just a few years and will sell their decor as a group. Lots of times I have found the crib set, with additional wall decor, blankets, pillows, lamps, mobiles etc. All of these things together can be pretty steep brand new, so finding a set that is your style for a fraction of the price is a great find. Blocks, outdoor toys, trucks, cars, doll houses, and other toys that are non-porous are great toys to find at sales. I recommend staying away from stuffed animals, or baby dolls with stuffed parts because they are a lot harder to clean and can carry bugs, like lice. But anything wood or plastic where you can wipe them down is a good choice. Teacher yard sales are a great find as well; they will often sell whole curriculum sets with all of the items needed for each lesson! Puzzles, blocks, books, and magnets are great things to grab even if your child is still small, these things will be so nice to have when they are a little older. Some strategy plays apart in successful shopping at yard sales but the payoff is great! Grab some friends or your mom and begin your hunt. If something looks to be overpriced ask if they would take a lower price, it doesn’t hurt to ask! Good Luck!